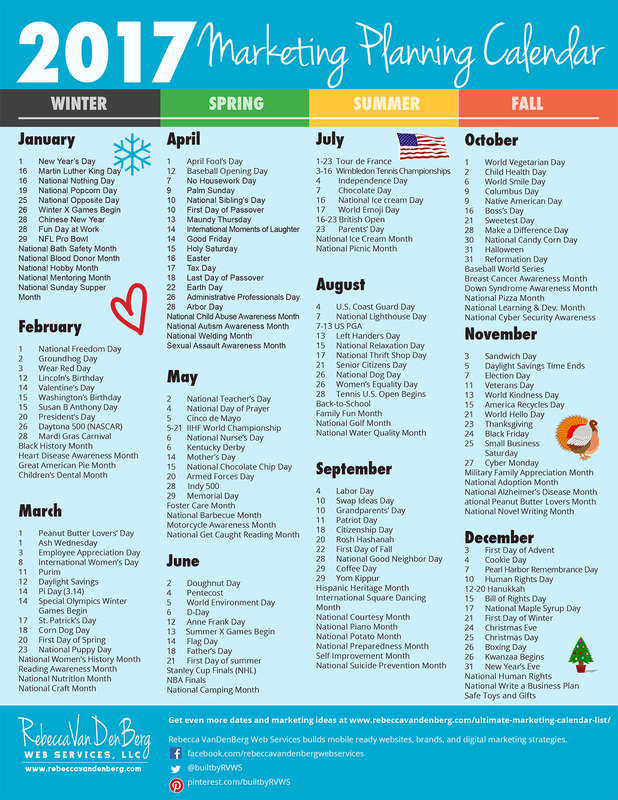 Looking for the 2019 Marketing Planning Calendar? Download this handy reference for your 2017 marketing planning. Includes all the significant dates for 2017 including holidays, special sport events and special monthly designations. PLUS as an added bonus, you can scroll down the monthly lists and see even more special dates and monthly designations for all your marketing planning needs. 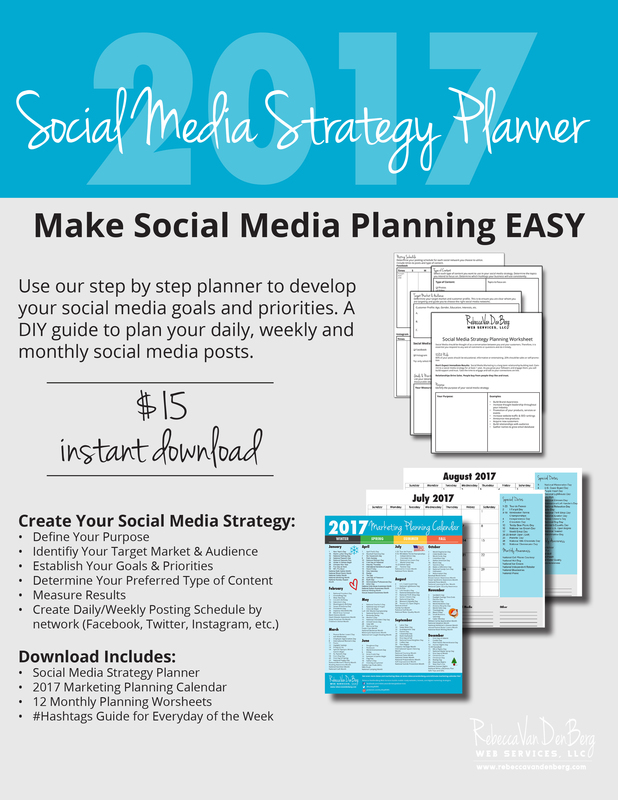 If you like our Marketing Planning Calendar, then don’t miss our Social Media Strategy Planner. The same planning tool we use with our clients!